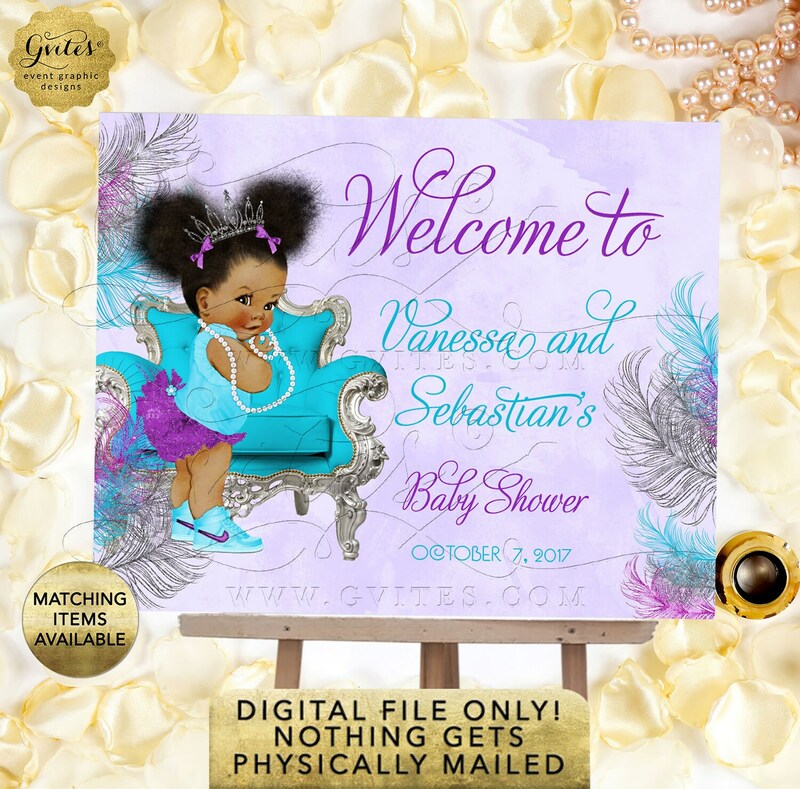 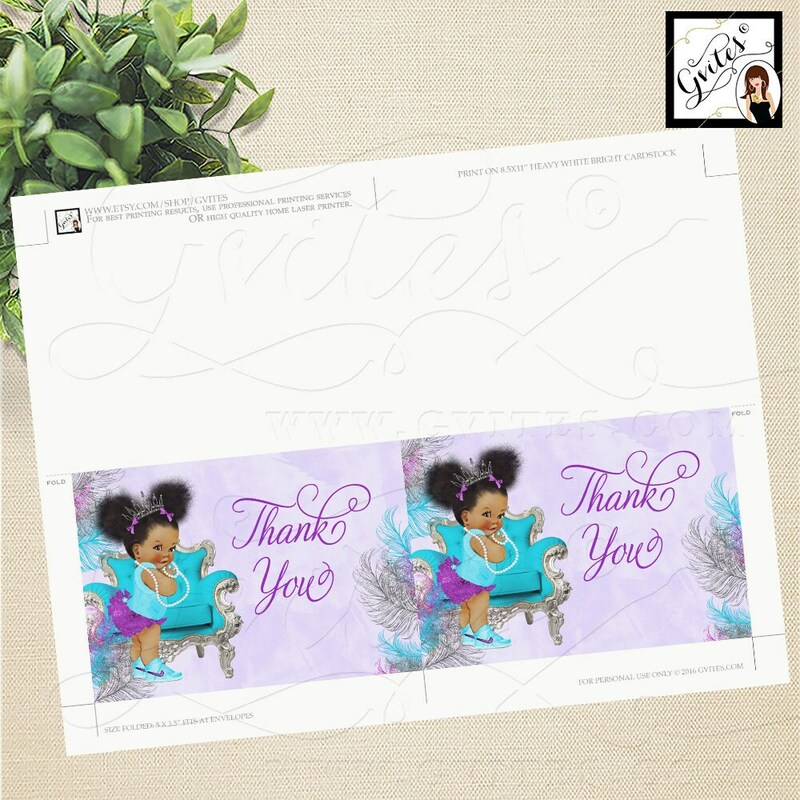 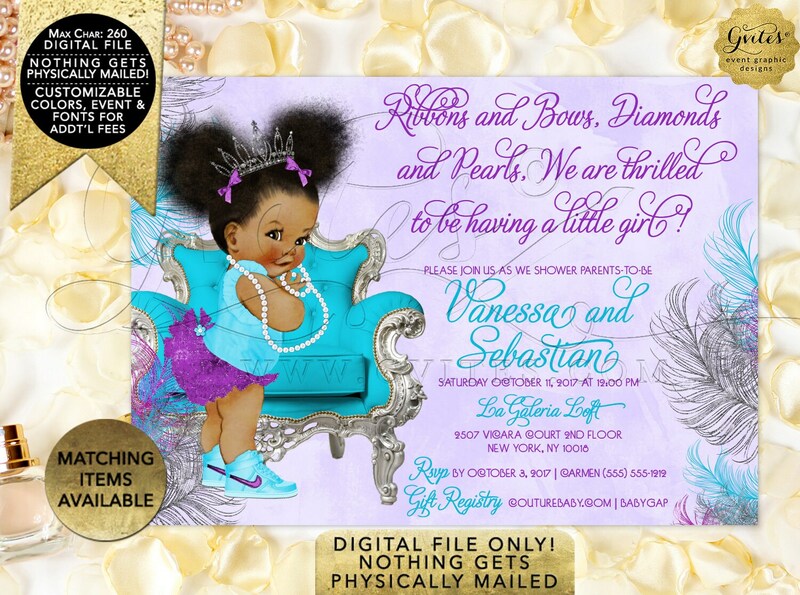 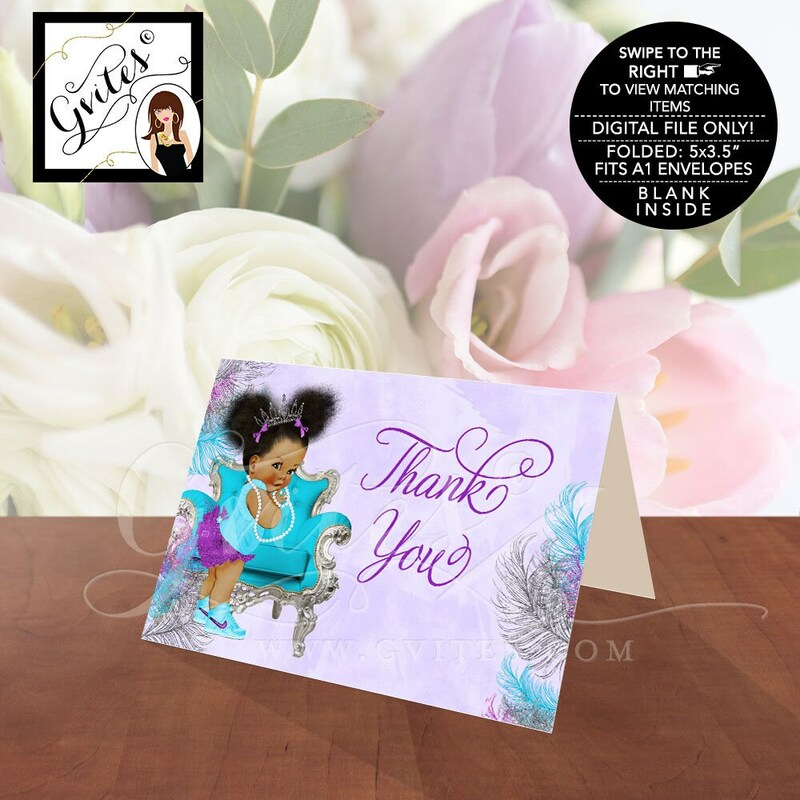 Purple silver and turquoise baby shower invitations, tiara baby girl, afro puffs, ribbons bows, diamonds and pearls. DIGITAL FILE ONLY! 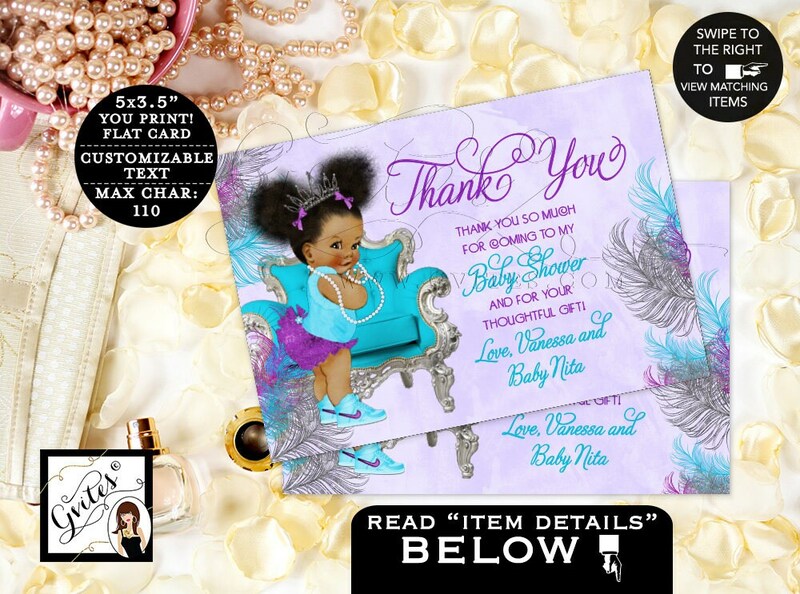 7x5"
Matching items are also available! 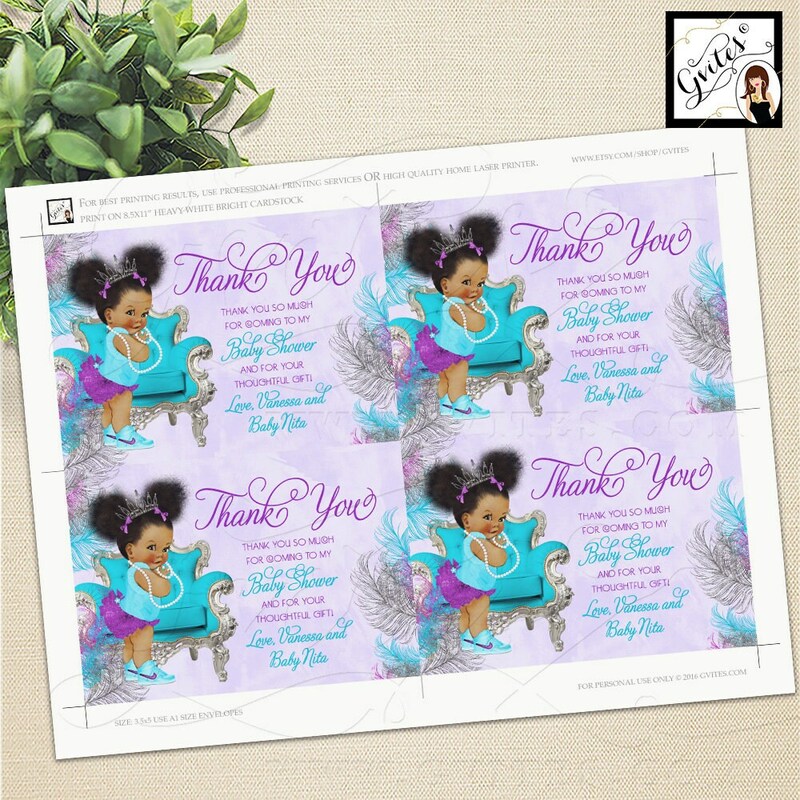 They were very nice and the service was great.